This is what I’ve been working on. Not drawing it, obviously. That’s all Gorey. But writing about it. In a Weird kind of way. Tomorrow, there will be Therapy. 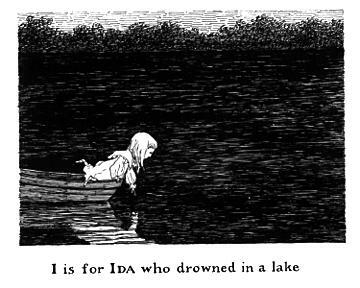 Tags: edward gorey, i is for ida, weird. Bookmark the permalink. Previous post ← Five star review for Bluegrass Symphony!